Small, light and very resistant device – shock data logger – has been created to perform an important and irreplaceable service: monitoring and control of these conditions. Due to the integrated sensors, monitoring not only of shock level but also temperatures, humidity and pressure is possible. Shock data logger allows continuous monitoring and data collection over longer time periods and subsequently, retrieving of all the data saved in the memory. The data report can be sent to the PC via interface, the information can be immediately viewed on the screen or printed. 3 axis shock data logger is performing simultaneous measurement on three axis (X, Y and Z) and measures accelerations, overload, vibration, displacements and similar which occur when loading, unloading, transportation of various devices, like engines, medical equipment, motors, electronical devices and many other fragile and sensitive to the outer impacts products. Whenever the limit is reached or exceeded, the light indication shows that there is a risk of the damage and the product should be checked carefully. 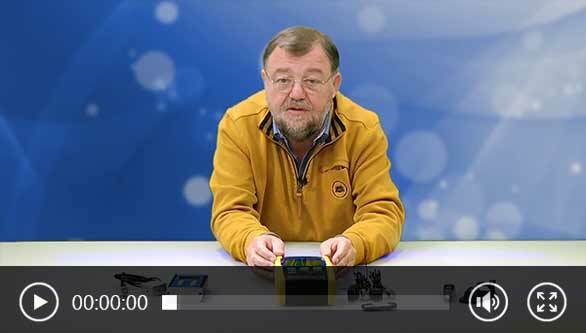 Here you can see a video of Wolfgang Rudolph on the theme shock data logger. If you have any questions concerning a shock data logger, please contact us at or +44 (0) 2380 987 035 for PCE Instruments UK or +1 (561) 320-9162 for PCE Americas Inc. The shock data logger PCE-VDL 16I from PCE Instruments measures and stores the relevant measured variables: temperature, relative humidity, air pressure, light as well as acceleration in three axes by means of a vibration sensor. Therefore, this shock data logger is ideal for monitoring vibrations on machines while simultaneously measuring and recording the relevant environmental conditions of the system. For this shock data logger PCE-VDL 24I the acceleration sensor is delivered with a sampling rate of 1600 Hz. The sensor measures the acceleration, which is currently acting on it (3 axes), for example shock / vibration. The measurements take place at predetermined (selectable) time intervals. The 3-axis Shock Data Logger PCE-VD 3 is a miniaturized universal Data Logger with an included built-in 3-axis acceleration sensor (X, Y, Z axes). The internal sensor of the 3-Axis Shock Data Logger PCE-VD 3 measures acceleration force along the X, Y, and Z axes with a measurement range of ±18 g per axis. These 3-Axis Shock Data Logger PCE-VD 3 are manufacturer calibrated. An ISO calibration certificate is an option. PCE-VDR 10 is a single-axis accelerometer or shock data logger monitor with real-time measurement and data logging capabilities. This single-axis shock data logger records acceleration (m/s, g, ft/s) as well as velocity (mm/s, cm/s, in/s) measurements and saves the measured data to an included SD card memory. There is also an analog output, which makes this shock data logger compatlble to control systems. This thumb-sized Swiss Quality MSR145 3-axis Shock Data Logger records over 2 000 000 measured values - with an optional microSD card, even over a billion measured values - and is ideal for long-term measurements. It is capable of simultaneously measuring and recording a variety of measures such as temperature, humidity, pressure, 3-axis acceleration and light. Wireless monitoring of measurement data and rapid reading of measured values – this ease of use is offered by the new MSR145WD wireless 3-axis Shock Data Logger. The 3-axis Shock Data Logger is equipped with Bluetooth Low Energy, a bright OLED graphic display and the optional web-based service MSR SmartCloud for data monitoring from any location. The bestseller for transportation monitoring, fault diagnoses and load tests! The robust MSR165 Shock Data Logger is capable of making 1600 acceleration (shock, vibrations) measurements per second in all three axes. Shock monitoring with this Shock Data Logger is possible up to ±15 g or up to ±200 g, 32 measurement values are recorded even before the event takes place. You want to monitor the vibration of machines or of goods during transport over a certain period of time or continuously? A shock data logger will be the right meter for your task. 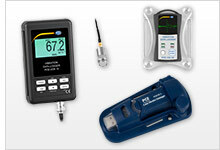 Vibration data loggers are available in various designs, depending on the application. There are shock data logger models with external sensors as well as vibration data loggers with an internal vibration sensor. The shock data logger models with external sensors are often used to measure and save vibration data of machines and equipment whereas shock data loggers with internal sensors are often used for transport monitoring. However, this does not mean that these shock data logger models cannot be used for machine monitoring. The application and the measuring location are the decisive factors here. All types of shock data loggers have a memory that can be read out either via an interface or a memory card. 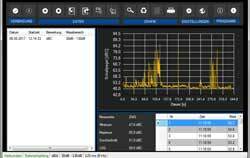 The shock data logger models with an interface have the advantage that the software for data readout often has several functions helpful for analysis. For example, you can set and visualise alarm thresholds or analyse machine vibration by using the FFT function. In contrast, shock data logger models with an SD card memory offer the possibility to quickly make the measurement data available for other programmes such as Excel. The measured data are available in txt, csv or xls format which can quickly be imported. This has the advantage that no further software must be installed which might have to be verified by third parties before use. Also, the vibration measurement data can be used immediately, without having to get used to a new software. When using a shock data logger with an external sensor, for example, the sensor is attached directly to a bearing or engine. This is done with the help of either a screw or a magnet on the machine’s case. The sensor and the shock data logger are connected by a cable. The shock data logger captures all values and saves them to the memory. Shock data logger models with an internal sensor can be mounted in the same way, depending on the space requirements. In contrast to shock data loggers with an external sensor, shock data logger models with an internal sensor are available with optional sensors for temperature, air humidity or atmospheric pressure. This allows the user to additionally save data about the environmental conditions around the machine or the transported goods so that the data measured by the shock data logger can be analysed in more detail whenever an error occurs. All shock data logger models save the current date and time along with the measured value. The shock data loggers from PCE Instruments are available with an optional calibration certificate if this is not included in the standard package. If you have a certain application or any questions on our shock data loggers, please do not hesitate to contact us . -	not less important, on the transportation from the manufacturer to the customer. As a rule, the final products go through a long cargo and then shipping process. How to make sure that the conditions on a ship, airplane, train, truck and any other transportation means, comply with the requirements of the producer? A 3-axis shock data logger helps! The advantage of a small wireless, 3-axis shock data logger is its small size and easiness of installation, very long battery life without need for extra power sources, waterproof housing (which makes the application even under the harshest conditions possible), very large memory capacity and high security level (the data is kept in the memory and can be retrieved later). The user can set the time intervals for measurements and their frequency himself, and since, the sampling frequency is very high in this shock data logger, there is a chance to get very accurate and detailed results, if needed. Thus, using shock data logger, the customer / the transporter can clearly monitor the conditions at each stage, the product goes through after its production, and whether the actual conditions / the permissible limits have been exceeded or not before the product arrives to its destination. As well as cold-chain requirements, the strict requirements to the shock and other influences apply to a wide range of products. These may be not only machines and electronic devices, but also food and beverages, pharmaceutical, glass products, items of art and valuables. 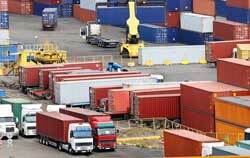 Correct and careful transportation is a pledge of sufficient quality of the delivered goods. Sometimes small shock data logger devices are even integrated into the AVLS systems, in other words, dispatcher navigation systems. In such a way, everything what is going on during the process of shipping can be monitored from outside, by the dispatcher, and all the information processed and analyzed immediately. This gives a chance to eliminate the existing problem immediately, and prevent the fatal damage of the whole delivered lot of the goods. The size of the delivered goods does not influence the device; thus, the shock data logger is good for multiple application on different vehicles.